I am pleased to have the Fractured Light blog tour with Rachel McClellan at Speculating on SpecFic today. 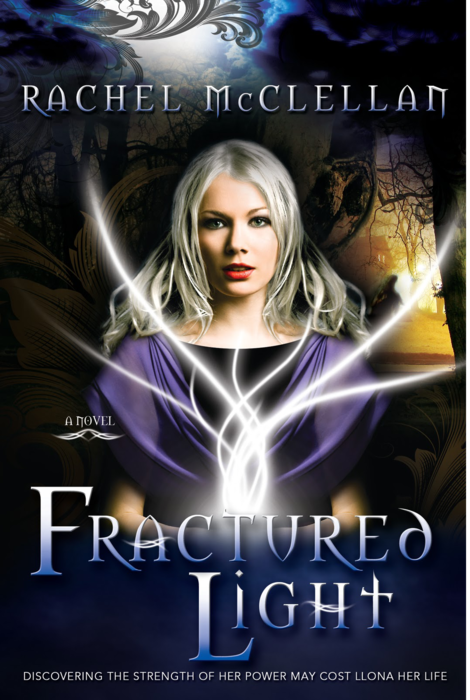 Fractured Light is Rachel’s first young adult fantasy novel. I’m dying, I thought. This was unexpected and not at all how I envisioned my death. I was supposed to die gardening in a flowerbed as a hundred-year-old woman, not as a seventeen-year-old trapped in a lake beneath inches of ice. Llona Reese is used to living on the run. After the Vykens killed her parents, she knew they would eventually come for her too. She can’t take any chances. But when she starts to make friends for the first time in her life, she gets careless and lets her guard down. Big mistake. As an Aura, Llona has the ability to manipulate light and harness its energy. This is the power the Vykens are after. This is what the Guardians are trained to protect. Christian has been waiting his whole life for the opportunity to fulfill his destiny as a Guardian, but Llona has other plans for him. Going against everything that she’s been taught and defying the Auran Council, Llona convinces Christian to teach her how to use her power as a weapon. It may be her only hope of survival. Fractured Light will be published on the 7th of February 2012. But you can read my review here! Make sure that you follow Rachel’s Facebook page and her blog, and visit her website. A sequel, Fractured Truth, has been tentatively slated for release in February 2013. I can’t wait! 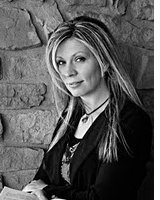 Please drop by Jaclyn’s Musings as she is also hosting the tour today. The next stops on the tour are on 12 December, at Hey You Slackers, Cindy Bennett and Tumbling Books. The full tour schedule is here.